Discover thousands of years of human history Les Eyzies-de-Tayac, from the rock shelters and caves of our more recent ancestors, some of which are adorned with the finest examples of Ice Age art in Europe, to the Medieval rock-cut shelters occupied during the 100 Year’s War. 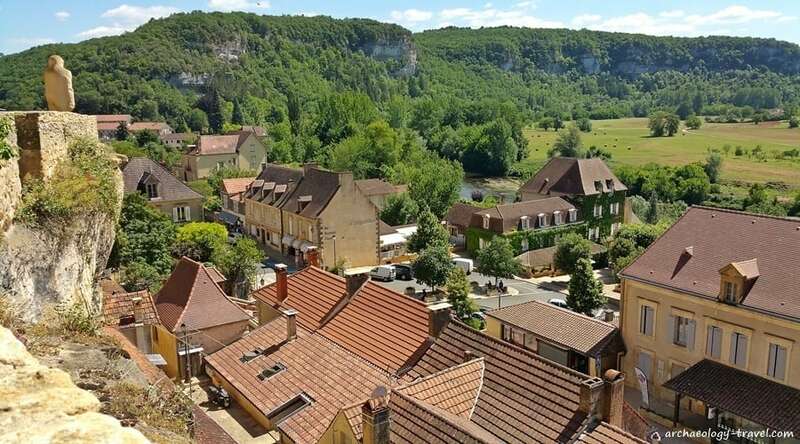 All within walking distance of a picturesque village in the Dordogne’s Vézére Valley. At the base of the limestone cliffs just above the confluence of the Vézére and Beune Rivers is Les Eyzies-de-Tayac. A unique combination of spectacular archaeology and local historical events has meant that from the second half of the 19th century this picturesque little town has become what many have called the World Capital of Prehistory . People come from all corners of the globe to see for themselves the prehistoric archaeology that has done so much to shape our understanding of the history of humanity. And anyone who has visited the Vézére Valley will no doubt agree, these visitors get so much more than just spectacular archaeology. The Vézére Valley is the most popular destination within the Dordogne region of France. And the Dordogne is itself one of the more visited regions of France. People are attracted to the extraordinary archaeology and history – traces of human occupation date back more than 400,000 years, a distinctive local cuisine, and an area that is rich in natural beauty and ideal for a range of outdoor activities. Not surprisingly then, there are many towns and villages, hamlets and rural locations that offer outstanding accommodation from which to explore the area. If archaeology and history is the focus of your visit to the Vézére Valley, then Les Eyzies-de-Tayac is the perfect town from which to base your explorations. Perhaps the most obvious reason why Les Eyzies makes for a good base is that the town itself has so much archaeology within it. 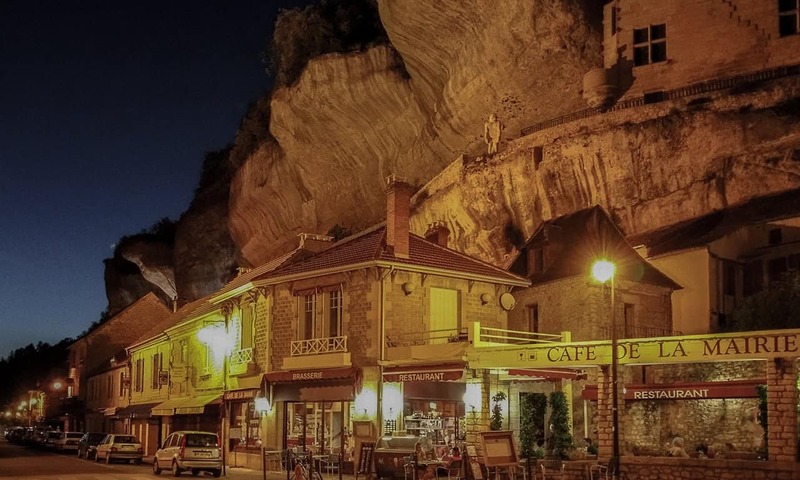 France’s National Prehistory Museum is here, a number of fascinating archaeological sites – including the site where the first early modern humans were found in 1868, and two caves with some of the finest prehistoric art are just on the edge of the town. Park your car and put away the keys – there really is so much to see and do within walking distance of your hotel. Despite the numbers of tourists, Les Eyzies is a pleasant town to stay in. Mainly because the more popular archaeological tourist sights that attract the bus loads of tourists do not stop there. The sites in the town simply do not allow for these kind of large groups. Even at the height of the tourist season, Les Eyzies by night is a delightfully quiet and enjoyable place to be. And if you need another reason, it is centrally located within the valley. Look at any of the tourist maps of the Vézére Valley, you will find Les Eyzies more or less at the centre. 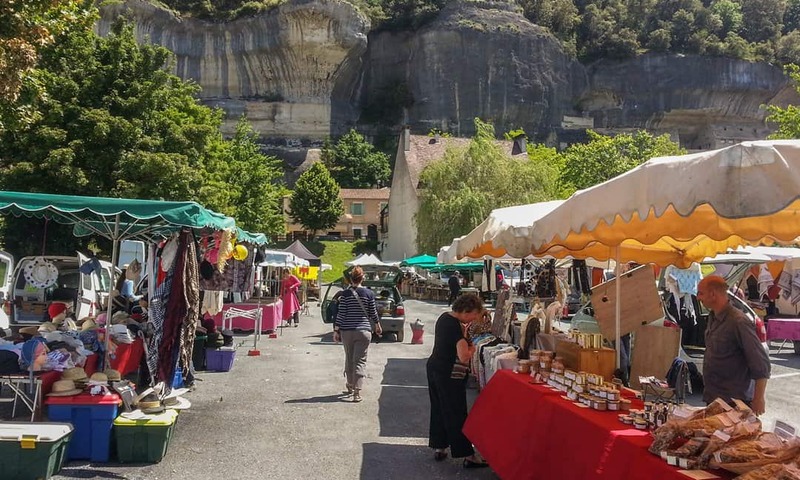 And with good roads up and down the valley and into neighbouring areas, you can easily explore everything that this part of France has to offer. My first visit to Les Eyzies was in 1989 when, as a young archaeology student, I toured the prehistoric cave art sites with my mentors and friends. From the end of the 1990s I started visiting more regularly, first taking my own students there, and then from about 2004 taking clients on bespoke private tours. Although I feel I know the area quite well, I still discover something new in the Vézére Valley during each visit. Les Eyzies-de-Tayac: map showing the locations of the top things to do in the town, along with other places mentioned in the article. Given the international significance of the prehistoric archaeology in the area, it is not surprising that the National Prehistory Museum is one of the finest of its kind in the World. Besides having some of the finest artefacts from various sites, the permanent exhibition provides an extensive history of the Stone Age of the Vézére Valley. 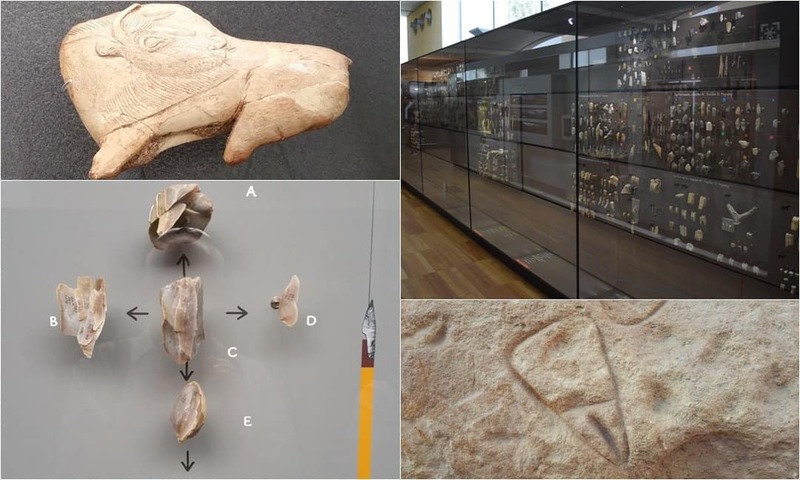 And this period is innovatively set within the wider context of the Stone Age globally, using replicas from various key sites in Europe and Africa. If you have a deep interest in Stone Age archaeology, you will easily be able to spend hours here. For others, this museum has some fascinating artefacts from a number of nearby sites in some engaging displays. Everyone wants to visit Font de Gaume. And with good reason; the guides are quick to tell you that this is last cave in France where you can see polychrome paintings from the Stone Age. All the others are now closed to the public. Also, the paintings here are amongst the finest in the area. For conservation reasons only a limited number of tickets are available each day, and if you have not managed to get tickets in advance, you are looking at an early morning in a queue to get tickets: buying tickets for Font de Gaume, in advance and on the day. After your visit, I am confident you will agree it was worth every minute in that queue. Where Font de Gaume has spectacular prehistoric paintings, Les Combarelles has hundreds of beautifully incised images of animals and humans. Often they are difficult to see, but expert guides take you on a tour that lasts about 45 minutes and point out the incredibly fine details. One of the most beautiful is the head of a feline that was incised around a natural stone nodule in the cave wall, which seems to have been specifically used to represent the animal’s eye. Entry to this cave is as restricted as it is for Font de Gaume; tickets for Les Combarelles can be booked in advance or on the day at the Font de Gaume ticket office. 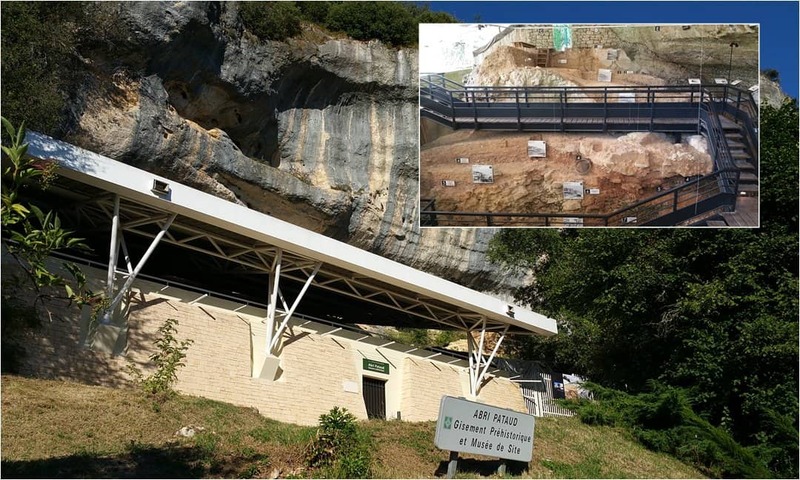 Abri Cro-Magnon is where in March 1868 the first burial of early modern humans was found in Europe. This is why these early ancestors of ours are commonly called Cro-Magnons. In all five skeletons were found in the deposits of the rock shelter, thought to have been buried about 28,000 years ago. Besides this site’s important role in our understanding the evolution of humanity, there is now an onsite museum with excellent interactive, multimedia displays. These displays construct the story of Cro-Magnons, the myths about them, as well as the significance of the Cro-Magnon people from this particular shelter. This rock shelter, occupied by hunters and gatherers between about 35,000 and 22,000 years ago, has been excavated by archaeologists since the early 1950s. With some spectacular results. Guided tours start in the shelter, where visitors get to see both how the archaeologists used innovative techniques to excavate deposits several metres deep to reveal prehistoric hearths, pieces of decorated stone and bone and the remains of at least six individuals. The tour then moves on to the small museum, where just a fraction of the two million artefacts recovered from the site are on display. The museum was once a storeroom built up against a rock shelter – don’t miss the carved ibex on the ceiling! Visitors to the various sites and museums in Les Eyzies are often surprised to see how well made the stone tools are. Many expect to see crude lumps of rocks. Instead they repeatedly see stone tools that were carefully made, some of which are fine and delicate. When you are done looking at the stone artefacts in the museums, I recommend a stop at Bernard Ginelli’s PALAIOS workshop. Ginelli is widely recognised as one of the most accomplished stone tool knappers there is. In half an hour, perhaps a bit more, watch as he takes what is a regular river pebble and turns it into a beautiful stone tool with a blade as sharp as any knife you have seen. He makes it look easy, but look at the scars on his hands … the marks of many years of practice. Of all the outdoor activities on offer to visitors, and there are many, canoeing down the Vézére River is one of the more memorable experiences I have had. The Vézére meanders through a spectacular valley, a landscape that has been marked by people for many tens of thousands of years. Take an early trip and see the valley and its wildlife at dawn, while floating passed troglodyte shelters, old farmhouses and striking châteaux. There are a number of companies in Les Eyzies itself. They will collect you at your hotel and accommodation and take you to a drop off point, for a half-day or full-day canoeing trip – you choose. Then they will return you to your hotel. Monday morning in Les Eyzies is market time, and the market here is much like most in rural France. If you are staying in self-catering accommodation, this is a great opportunity to stock up on fresh produce and regional specialities for the week. You will find everything from fresh fruit and vegetables, various cured meats, as well as local wines and pâtés. Just the range of vittles for a picnic! 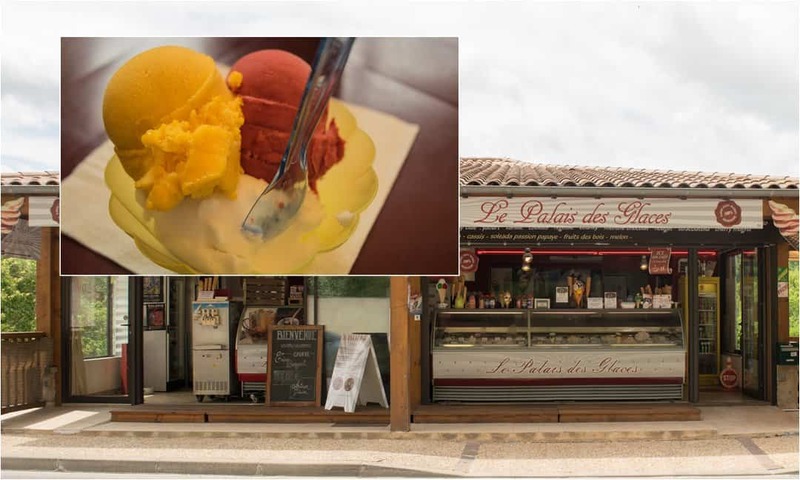 Walking along the Avenue de la Préhistoire on a hot summer’s day, or waiting for the guided tour of Abri Pataud to begin, the Palais des Glaces is a welcome stop. If like me sorbets are your weakness, this is the place for you. But there are many, many different flavours on offer – which varies from time to time as they are all homemade. Actually, it does not have to be that hot, I am more than happy to stop for an ice-cream any time. What was once the village’s mill on the Beune River is now a hotel and restaurant. The family-run hotel maybe only 2* (really, do not let that put you off), but their restaurant is very definitely 5*. While most restaurants in Les Eyzies serve very good food, the Restaurant au Vieux Moulin is without doubt the best. Whether it is a hot summer’s evening and you get to dine out on the terrace, or a cooler spring evening and you take your meal in the characterful dining room, you are in for a gastro-treat. The menu not only has a wide range of dishes, including vegetarian options, it changes regularly. So, if you are in town for more than a few days, treat yourself more than once. Each of these activities are in, or within walking distance of, Les Eyzies – the locations are marked on the map below with blue, numbered markers. There are still so many more sites to visit, but these will require private transport. There are taxi services in the town for those more distant attractions. 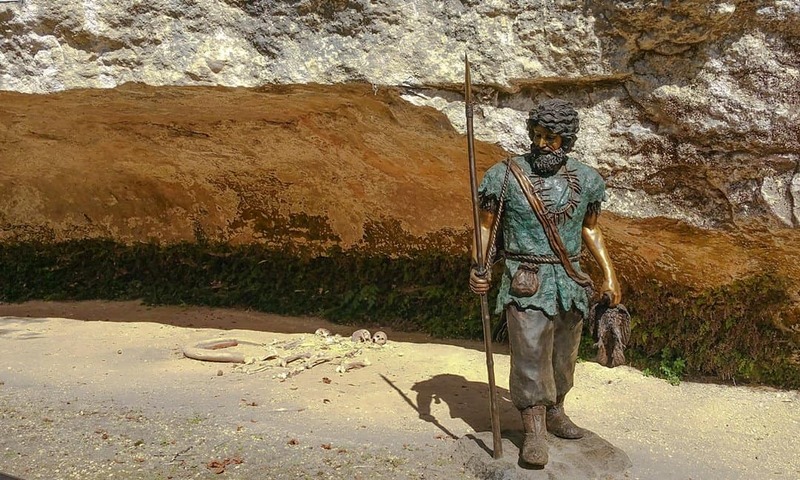 For information about these other sites and attractions see my France Cave Art Guide, or Archaeology Sites and Museums in Aquitaine. Hostellerie du Passeur, Les Eyzies. Given the popularity of the town, you will not be surprised to learn that there are a number of hotels in Les Eyzies, from 4* to some that are not even classified. I have stayed in most of them and I have my favourite. The 4* hotel is, in my opinion, grossly over-rated and should be avoided – unless you like distressed pine and chicken fencing in your bedroom. The bad reviews online are quite accurate. Two hotels I use frequently for many reasons, but mainly because my tour clients also like them, are the Hostellerie du Passeur and the Hôtel des Roches. Both are 3* hotels, but are quite different. Hôtel des Roches is a newer hotel and is just on the edge of town with large gardens in which there is a swimming pool. They serve wonderful breakfasts. Hostellerie du Passeur is more central with great views over the Vézére River. It also has an exceptional restaurant. 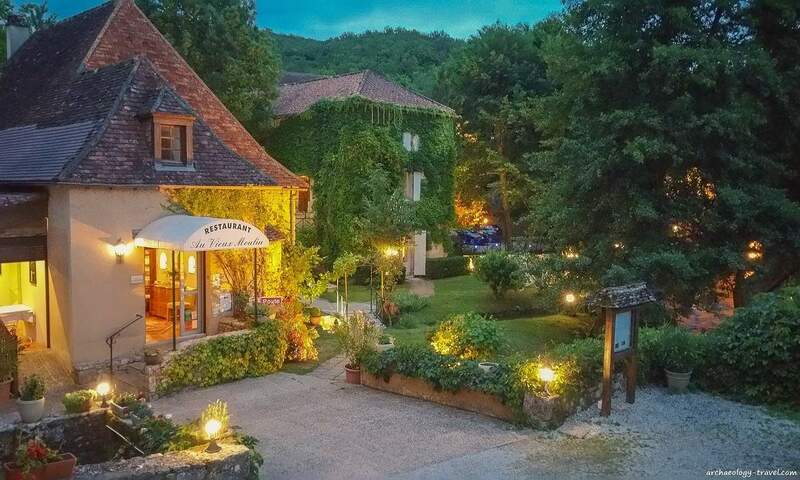 My favourite hotel in Les Eyzies, however, is the characterful Hotel Le Moulin de La Beune. The hotel building is one of two that once formed an old mill; the actual mill with its functioning mill-race is now a restaurant. The hotel and restaurant are set beside the Beune River and surrounded by many established trees providing an incredible atmosphere, day and night. Although the hotel is 2*, based on ten 10 years experience in the town it is a much more pleasant place to stay than some of the other hotels in Les Eyzies. This is my hotel of choice. The downside is that it is not open all year, if you are travelling out of season I am afraid you are out of luck. There are other options for accommodation in Les Eyzies. 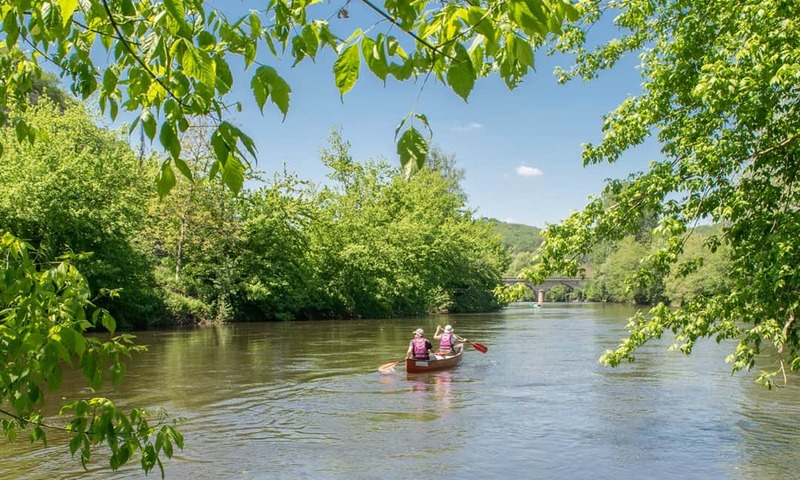 Directly opposite the town, on the other side of the Vézére River but still within walking distance of the centre of town, a great looking campground provides space for those who prefer camping and caravaning. There are also a number of self-catering gîtes and villas in the area. Something for everyone! 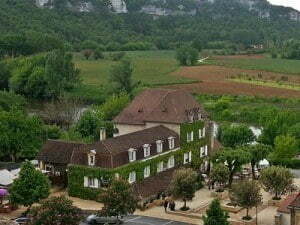 The Restaurant au Vieux Moulin with the 2* Hotel Le Moulin de La Beune in the background. The Dordogne is as well known for its cuisine as it is for its prehistory. And the many Les Eyzies restaurants bear testimony to this. Some of these restaurants have been around for as long as I have been visiting the area, others have changed hands. Honestly, I have never had a bad meal in Les Eyzies. In fact, I enjoy an extended stay in the town as I then get to try those restaurants that are not my more regular haunts. My favourite hangout whether it is for a coffee during the day, a light lunch, a good evening meal, or a drink in the evening is the Cafe de la Mairie. With both an indoors dining room and bar area and an outdoors terrace, this is perfect for any time of the day, any time of the year. That it is often fully occupied supports my view. On offer are a great choice of salads, the local salad being my favourite, and a good selection of regional hot meals. The cafe opens at about 06.00 am, so if you find yourself having to go to ticket office at Font de Gaume to get in the queue for tickets, get yourself a hot drink to take away and some croissants if the baker has delivered. 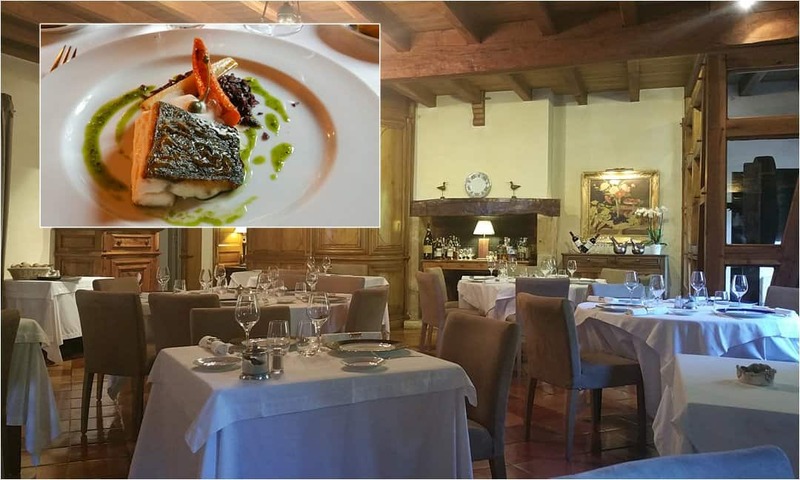 For a special dining experience I can not recommend the Restaurant au Vieux Moulin enough. And that is why I included a meal here in my list of ten things to do in Les Eyzies. The restaurant is part of the adjacent hotel, both of which are run by the same family. Besides the idyllic setting, down from the main level of the town on the banks of the Beune River, the food, always fresh and local, is truly something to write home about, or post to social media. A meal here is not cheap, but it is not outrageously expensive either – it is certainly worth every Euro. 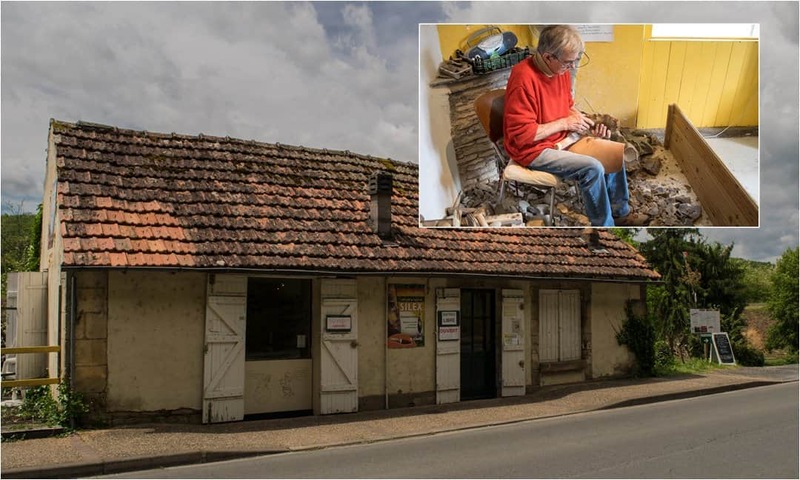 Les Eyzies is just over 500 kilometres south of Paris and about 155 kilometres east of Bordeaux, and is well served by national roads and autoroutes, and there is also a train station in the village. Having your own transport once in Les Eyzies is not essential as there is so much to do within walking distance. In any event, there are a number of reasonably priced, private transport providers that will take you to sites and attractions beyond the town. Getting to Les Eyzies by Train from Paris can take as little as 5 hours. There are no direct trains, but you can get there with only one connection, but most journeys require two changes. Trains with connections to Les Eyzies leave from Montparnasse and Austerlitz stations in Paris – Austerlitz offering the faster routes. Depending on such factors as when you book, what time you are prepared to travel, whether or not you require a flexible ticket, you can get a Paris – Les Eyzies return, second class ticket for just over €100. Once in Les Eyzies, the station is just on the edge of the town, opposite Abri Cro-Magnon. You are able to search for a suitable journey and buy a ticket online, go straight to the SNCF website. If you have your own car, getting to Les Eyzies is very easy. From Brive-la-Gaillarde on Autoroute 20 (E9 if you follow the international E-road network), les Eyzies is about an hour drive down the Vézére Valley, passing through some wonderfully picturesque farmlands and rural villages. , and one I have no hesitation in recommending; I use it for wherever I travel. Les Eyzies has everything you could need: a post office, a number of banks with external automatic tellers, a laundry, a supermarket, a few bakeries for fresh bread and pastries, a news agency that carries a small range of international newspapers … and many souvenir shops. I would add a recommendation for a bistro called Mentalo. Their multi-course lunches are delicious and an excellent value. Thank you for adding your recommendation Mari – and one I second. I can add that their pizzas are great! Thank you Thomas! Your site is superb and informative and I am grateful! Much aloha! Yes, there are quite a few caves open in January, although the times are more restricted than in summer. Links to all the websites can be found in my Cave Art in France Guide. 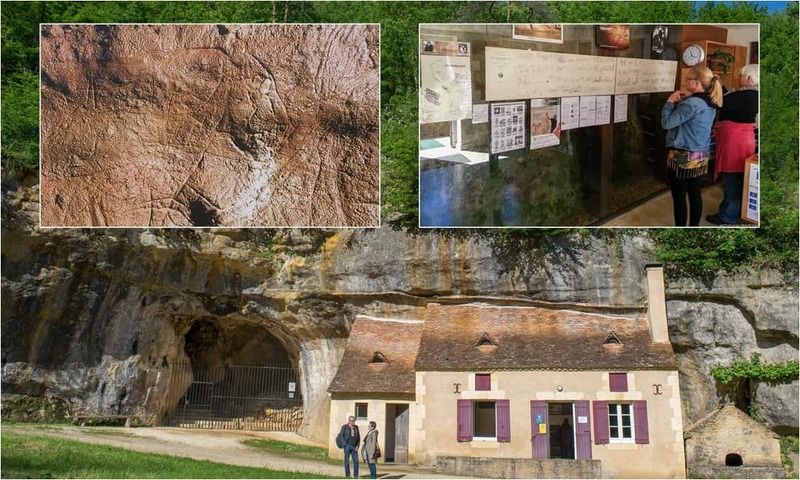 Is it possible to go to Lascaux on a daytrip from Les Eyzies by public transport? (I will travel by train to Les Eyzies)? You would have to take a taxi. The site offers a very practical, comprehensive and interesting guide! Many thanks to share your experience. In Summer, I will stay a number of days in Les Eyzies. Is it possible to combine a visit to Lascaux II and the new Lascaux IV in one day? Kind regards. Yes, you could easily visit Lascaux 2 and 4 in one day, from Les Eyzies. Montignac and Lascaux is about 20/30 minutes from Les Eyzies. 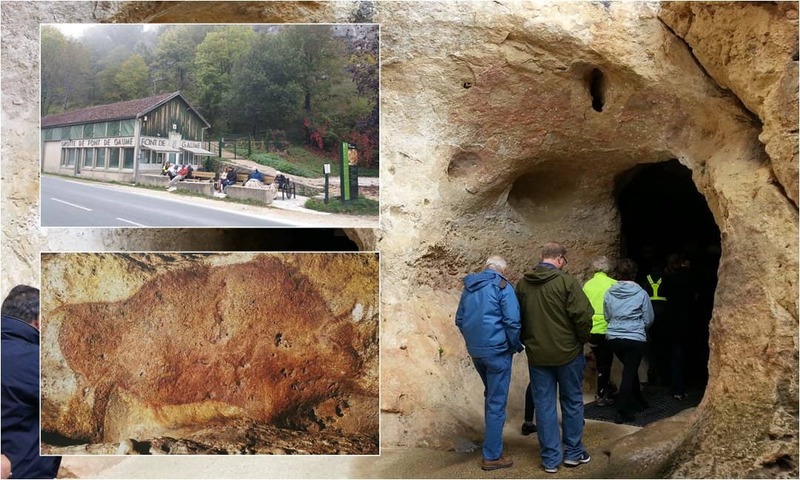 The tour of Lascaux 2 is about 45 minutes and the recommended time for Lascaux 4 is 2 hours. I am more intrigued to know why you would want to visit 2 as well as 4? There is nothing at 2 that is not included at 4. You are in luck, the hotel is closed from November to February. Hi Thomas! I just want to reach out and say that based on your recommendation, I booked Le Moulin de la Beune and I am totally in love with it! They offered to change my room so I could see and hear the creek and have been amazingly accommodating. It was a long 6 hours to drive here from Carnac, but it was so worth it, thanks for your website! Carnac and Les Eyzies – two of my favourite places in France! Thank you Leigh for coming back to share your thoughts – am always delighted to hear from readers.